Project management is one of the biggest challenges when it comes to remote teams. We run Hubstaff as a fully distributed company and I know how hard staying on top of things and moving forward in an orderly manner can be. Here is another thought… How about we take a look at a number of tools, which work well together, rather than sticking to a single remote project management platform? 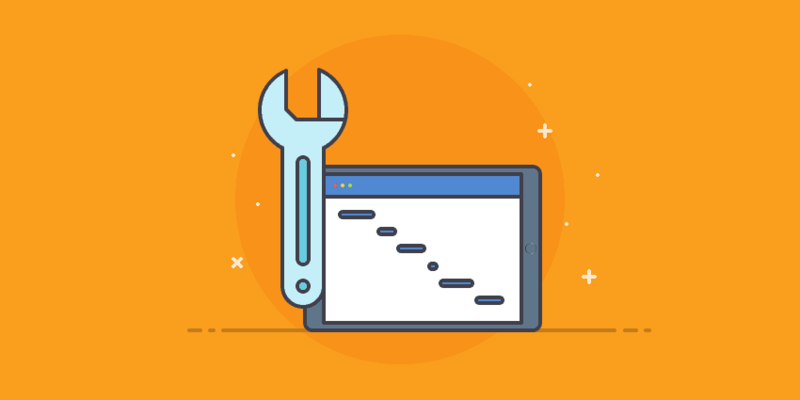 Chances are you are already using some of the tools that can be brought up together and become a full-fledged remote project management solution for you. In the following lines, I will be offering an actionable approach and advice on how to solve this equation and make it work for your remote team. Why do I need a remote project management platform? It is important to have a remote project management platform in order to get the job done with the best possible outcome, while you are able to monitor progress, cost, communication, and delivery. This might seem ambitious, but it doesn’t have to be. The simple truth is that although there are some pretty amazing tools out there, not every platform or tool fits perfectly your necessities. It might be better to combine a set of tools and platforms to manage your remote team project. 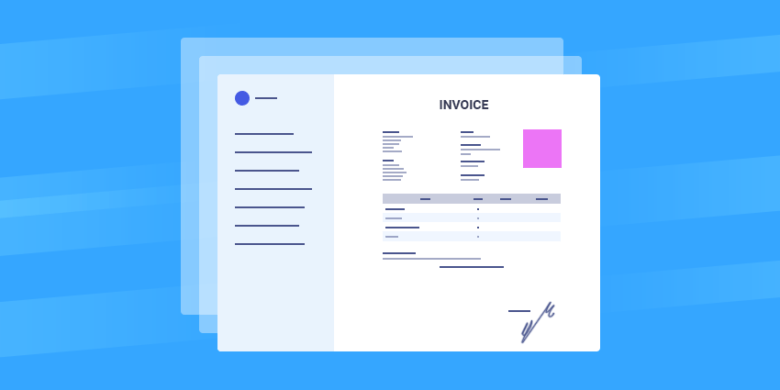 Long gone are the days when Excel sheets and Word documents with specifications and comments were at the center of a project… Well, they are still here for some. You know, those that hardly ever wrap up a project. What features do I need for remote project management? How many people will use my platform setup? How many projects can I fit into my subscription? How do I make sure that all communication is in one place for easy backtrack and review? How do I track cost, progress, and delivery? Can I make a full project backup? There are certainly many other questions you can be asking yourself. Every project is different, so is every remote team. But this list should be enough to get you started. Whether you choose to go with a single project management platform or a combination of tools, you want to make sure you stick to your selection. Things pay up in the long term, not in the short. Persistence is a virtue. 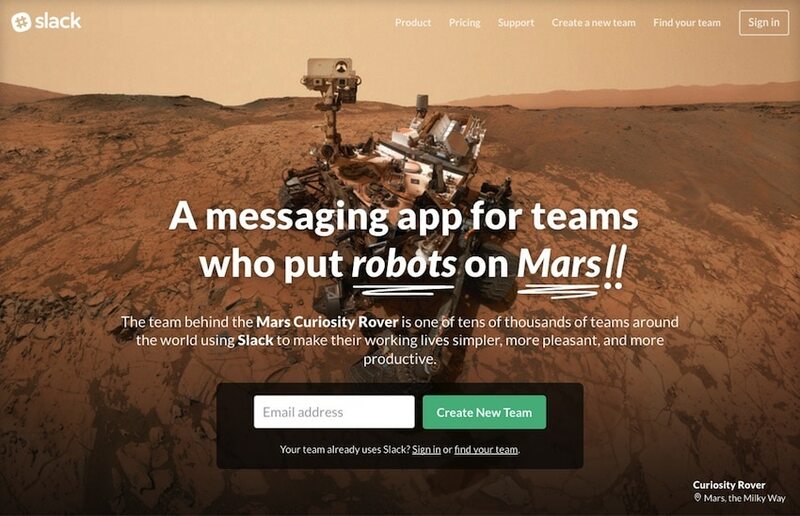 Also automation (and integration) – you want to make communication between platforms and tools happens on the spot, as well as between remote team members. You don’t want to lose track in the middle of your important project. Another feature is the accountability – keeping track of progress and cost is vital to a good remote project management. The last thing you want to have on your hands is a project running out of budget before you get an MVP (Minimum Viable Product) out of it. How do I find the right remote project management tools to use together? Now that you have a prioritized list of your desired features in a project management platform, it would be much easier to find the right one. My advice to you is to create a simple spreadsheet and list them in one column. Use the rest of the columns to rate accordingly the platforms and tools you have found. Oh, and this will help with relaying the message properly and easily, should you need to report to your boss or partners. It is also very important to make sure that all these online tools can work together seamlessly. If you are to create a chain of tools working together, you don’t want to have glitches along the production line. So, be sure to create a column listing which tools cooperate with each other one or two ways. Now that you have a list of tools you fancy, start taking a closer look at the column listing the cooperation features. There is no point in choosing a standalone beautiful tool that does not work with any of the other tools in the chain. Remote project management is supposed to bring the team to work together, not make it a struggle. Are the tools you’ve listed free or paid? What is the annual cost and how does it look against your budget and possible product future market value? Can you add other users to the workflow without incurring extra costs? Can you do that further down the project? Are there any geographical restrictions for using the tools? These and other questions will help you narrow down the choice to just a few before you take the next step. Test, test, test… There is no better advice I can give you. Before you settle and pay for a particular tool, be sure to take it for a spin and make sure it will do the job you want to be done. Most importantly, try how the tool communicates with the other ones down your production line. You don’t want bugs and unstable or sluggish transfer of data to become an obstacle once you start running the remote team’s project. And don’t be afraid to try out hacks. Just don’t do it halfway through an important project. Below I will be offering you my personal choices as an example of the equation’s solution. I’ve offered two alternatives at each step and identified my personal favorite. Since this is the most important part of our equation, let’s first look at the basis of our remote project management – the platform. I have chosen to focus on two widely available solutions – Basecamp and Asana. Both platforms are aimed at small and medium-size teams with easy to use interface and the ability to host task management and team collaboration. They also work well with third-party apps and tools, such as Slack, Google Drive, and Dropbox. Both Basecamp and Asana have apps for iOS and Android, so you can work on the go. However, Asana offers a huge number of features, which might offer a steep learning curve to new users. 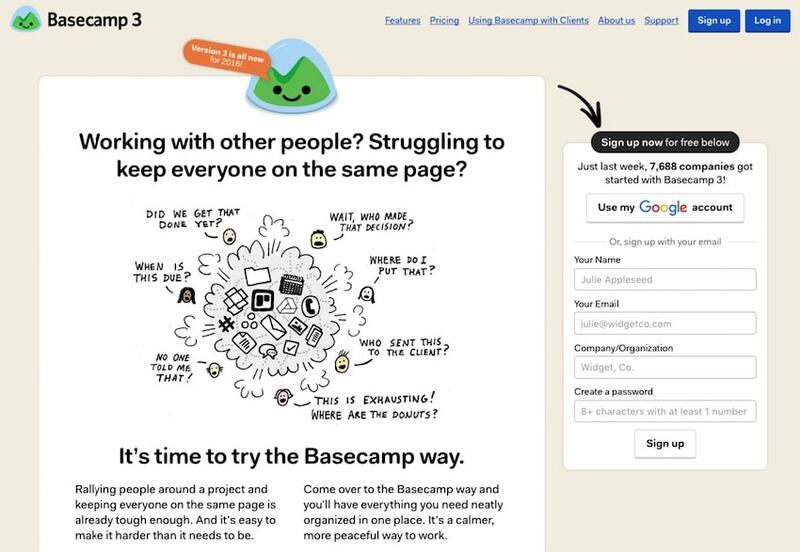 In the same time, Basecamp does not offer a real-time chat feature. There is a price tag of $20/month for 10 active projects, 3 GB and unlimited users for Basecamp. And Asana offers a free forever usage for up to 15 users and if you want to add more, it will cost you 10$ per user. My choice: Basecamp. I have used it for years and I feel more comfortable working with it. But you might want to give Asana a try and decide for yourself. Either way, they will be a good basis for your remote project management solution. The next step is choosing a communication tool that will handle all your discussions and online brainstorming. In this section, I have narrowed down my choice to Trello and Slack. (Trello, by the way, can also be used as a project management tool if you are a fan of the Kanban methodology.) Both tools are simple and easy to use, also nearly free. They also offer integration with major file vaults like Box, Dropbox and Google Drive, as well as apps for iOS and Android. The difference between Trello and Slack is that the latter feels more social and employs a full-scale chat. It is easier to not just discuss ideas that way but also get to know the people you work with better and grow closer as a team. My choice: Slack. I have chosen it mainly because of the resemblance to the social media tools I am using. But again, feel free to check both and decide for yourself. This is the trickiest part. You want all your tools to communicate with each other in the background without causing you headaches. In this category, there’s none better than Zapier and IFTTT. Both tools have an abundance of hacks to create the integration you need and trigger data exchange. They require a bit of learning investment, but you will be able to get around it in no time. So far we have looked into Basecamp, Asana, Trello and Slack. 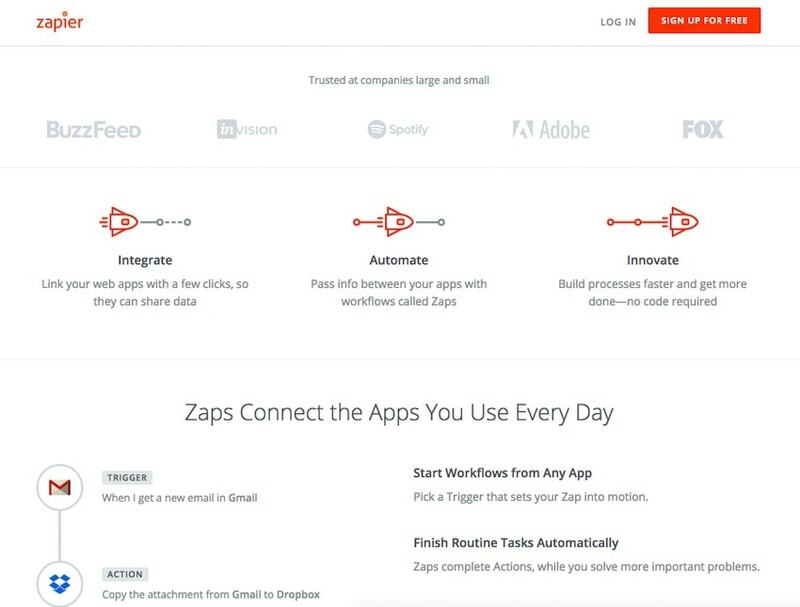 Well, only Zapier can automate the workflow with all four. And although chances are that you will have to pay to use it (starting at 20$/month), you will have a working solution. My choice: Zapier. There is no surprise here. There are quite a number of tasks you can automate. You can create a trigger publishing new to-dos, events or topics from Basecamp to Slack. 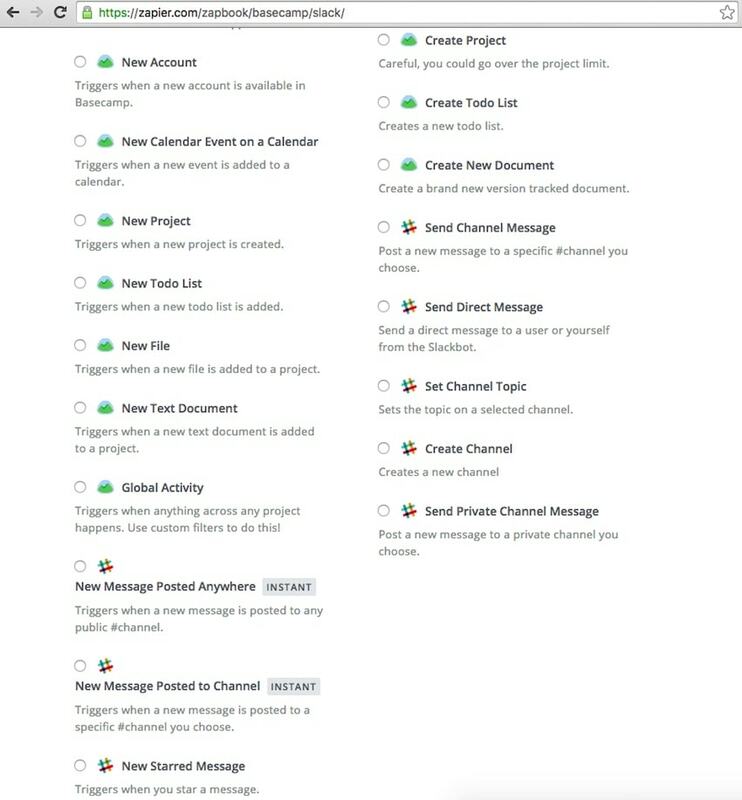 This can be also going in the opposite direction – create new to-dos from Slack to Basecamp. You can find a bunch of ready-made triggers on the Zapier website. Another important part of the equation is time and cost tracking. You are probably aware of Time Doctor, but our own Hubstaff is also a good alternative that adds an edge. We pride ourselves on a solution, which is very lightweight and versatile offering much more than just simple time tracking. With Hubstaff you can integrate with your favorite platforms (we have integrations for Basecamp, Asana, and Trello), track time to the second inside these, monitor the attendance and activity of your employees, automate payments to them through our integrations with PayPal, Payoneer, and BitWage, and generate detailed reports for easier invoicing and billing. My Choice: I admit partiality here, but I’ve built Hubstaff from a personal pain, so it has everything I need. 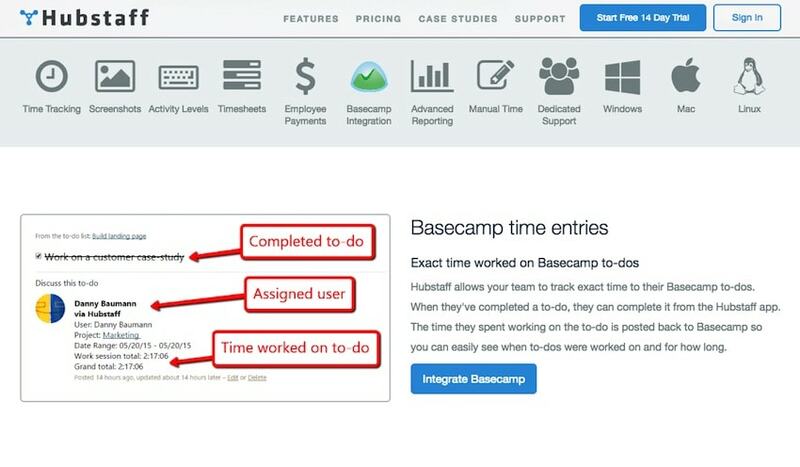 There are a few things her that can help you do your job better and faster by integration Hubstaff with Basecamp – project to-dos time-tracking, payroll and invoicing. Check out the detailed description on Hubstaff. Your pool of integrations doesn’t necessarily have to look like this. You might have chosen one of the other tools mentioned above. It is important to remember that at the end of the day it is about feeling comfortable with the tools and getting the job done. So take your time and get to learn how to use your choices.